Though we encourage the use of www.loveforporsche.com there are some ground rules that you as a user of the service must comply with. Using the service you are agreeing to abide by the following ground rules, or as our lawyer’s want them to be called – terms and conditions (“Terms of Service”). Please read the Terms of Service carefully. If you do not accept the Terms of Service we kindly ask you not to use www.loveforporsche.com. Usage of www.loveforporsche.com stipulates that you are willing to be bound by the Terms of Service. The Terms of Service constitute the entire agreement between the parties with reference to this matter, and supersedes all prior agreements written or oral. Use of www.loveforporsche.com and its services is at your own risk. You are responsible for all acts and omissions that occur while using the service, regardless whether you are a registered or non-registered user. Keeping your password safe and secure is your responsibility and not in any way www.loveforporsche.com’s. You are prohibited to use the service to abuse, harass, threaten, impersonate, intimidate or to use the service for any illegal or unauthorized purposes. Creating or submitting unwanted email to any www.loveforporsche.com member is prohibited. www.loveforporsche.com cannot be held responsible for any conduct and user submitted Content (data, text, information, screen names, graphics and photos) that is posted and displayed on www.loveforporsche.com. Responsibility for any conduct and submitted Content lies with the user of service. Modifying another website to falsely imply that it is associated with www.loveforporsche.com is prohibited. As is modifying, adapting or hacking the www.loveforporsche.com service. Users are prohibited transmitting any worms or viruses or destructive code through the www.loveforporsche.com service. You are prohibited from selling or otherwise transferring your account. You will not take any action that imposes, or may impose, in our sole discretion, an unreasonable or disproportionately large load on www.loveforporsche.com infrastructure. You agree not to interfere or attempt to interfere with the proper working of the www.loveforporsche.com web site or any activities conducted on the web site. You agree not to bypass any measures www.loveforporsche.com may use to prevent or restrict access to the www.loveforporsche.com service. If you violate any of the terms above www.loveforporsche.com is sanctioned to terminate your www.loveforporsche.com account and Content associated with it. Registering yourself as a user on www.loveforporsche.com implies registration for the Liebe zu Ihm – Love for Porsche newsletter. www.loveforporsche.com is not responsible for the ads published in the Classifieds. www.loveforporsche.com is not the seller of the goods advertised in the classifieds section unless otherwise stated (seller = Tim Havermans). www.loveforporsche.com is a developing platform with new features and functionality added over time. Therefore www.loveforporsche.com reserves the right to modify and alter these Terms of Service at any time on its own discretion. You agree to be bound to such alteration when you use www.loveforporsche.com and the alterations shall be effective at the time of posting of www.loveforporsche.com. It is therefore necessary that you review these Terms of Service regularly on www.loveforporsche.com to ensure that you are updated on any modifications of these terms. If you do not agree or abide by the altered Terms of Service, your only remedy will be to delete your account on www.loveforporsche.com and discontinue the use of www.loveforporsche.com. www.loveforporsche.com reserves the right to modify or terminate the www.loveforporsche.com service. Termination or modification may be made for any reason and without notice at any time. www.loveforporsche.com reserves the right to refuse service to anyone for any reason at any time. www.loveforporsche.com is not responsible for Content posted on the web site. You assume the risk for that you may come across Content that violates the Terms of Service. www.loveforporsche.com may, but is under no obligation to, remove Content and accounts containing Content that is determined to be unlawful, offensive, threatening, libellous, defamatory, obscene or otherwise objectionable or violates any party’s intellectual property or Terms of Service. Determination about the Content is of the sole discretion of www.loveforporsche.com. www.loveforporsche.com confirms that its obligations under the Terms of Service will be performed in a professional manner. To the maximum extent permitted by applicable law, www.loveforporsche.com disclaims all warranties with regard to the operation of the www.loveforporsche.com web site and the supply of the www.loveforporsche.com services. www.loveforporsche.com claims no intellectual property rights for material provided to the www.loveforporsche.com service. Your account and uploaded Content are yours solely. You can choose to deactivate your account at any given time. Deactivation of your account will remove public access to all texts and images stored in the www.loveforporsche.com system. www.loveforporsche.com obeys all relevant copyright laws and will review all received claims of copyright infringement. If content has been deemed to have been posted or distributed in violations of such laws the Content will be removed by www.loveforporsche.com. Claimant must provide sufficient evidence for its claims. By using www.loveforporsche.com you are consenting to our processing of your information that you disclose through the www.loveforporsche.com service. “Processing” means using cookies on a computer or using or touching information in any way, including, but not limited to, collecting, storing, deleting, using, combining and disclosing information, all of which activities will take place in various data centers around the world. Your personally identifiable information will be transferred to data centers closest to you, under privacy standards effective in those locations. By using www.loveforporsche.com you consent to such transfers and processing. www.loveforporsche.com collects personally identifiable information primarily for the management of your registered user account on www.loveforporsche.com and to make available the www.loveforporsche.com service through the web site to communicate with you. www.loveforporsche.com service is available for use in registered and non-registered user capacity. If you want to access added functionality of the www.loveforporsche.com service you are required to register an user account with www.loveforporsche.com and thus submit certain personally identifiable information to www.loveforporsche.com. www.loveforporsche.com collects your IP address, full user name, password and e-mail address. Voluntarily provided personally identifiable information on your public profile is the responsibility of the user. Registered users may access and update or correct the information provided to the www.loveforporsche.com by themselves or by e-mailing www.loveforporsche.com. If you choose to use www.loveforporsche.com without registering then only cookies and your IP address will be personally identifiable information. www.loveforporsche.com servers automatically record log information that your browser sends whenever you visit www.loveforporsche.com. This log information may include information such as your IP address, browser type or the domain from which you are visiting, the web-pages you visit and the search-terms you use. www.loveforporsche.com uses log information to monitor the use of the www.loveforporsche.com web site and for the web site’s technical administration. Your IP address will not be associated with any other personally identifiable information to identify you personally, except in case of violation of the Terms of Service. www.loveforporsche.com contains links to other websites by www.loveforporsche.com and users. The fact that www.loveforporsche.com contains a link to a website is not an endorsement, authorization or representation of our affiliation with that third party and www.loveforporsche.com does not exercise control over third party websites. www.loveforporsche.com is not directed to persons under 13. If a parent or a guardian becomes aware that his or her child has provided www.loveforporsche.com with personally identifiable information without their consent, he or she should contact us. www.loveforporsche.com does not collect knowingly personally identifiable information from children under 13 and if we become aware that a child under 13 has provided us with personally identifiable information, we will delete such information from our system. www.loveforporsche.com takes the safeguarding of confidentiality of your personally identifiable information very seriously and employs different administrative, physical and electronic measures designed to protect your information from unauthorized access. We will make any legally- required disclosures of any breach of the security, confidentiality, or integrity of your unencrypted electronically stored personal data to you via email or conspicuous posting on www.loveforporsche.com in the most expedient time possible and without unreasonable delay, consistent with (i) the legitimate needs of law enforcement or (ii) any measures necessary to determine the scope of the breach and restore the reasonable integrity of the data system. www.loveforporsche.com engages certain trusted third parties to perform functions and provide services to us, including, without limitation, hosting and maintenance, customer relationship, database storage and management, and direct marketing campaigns. We will share your personally identifiable information with these third parties, but only to the extent necessary to perform these functions and provide such services, and only pursuant to binding contractual obligations requiring such third parties to maintain the privacy and security of your data. www.loveforporsche.com cooperates with government and law enforcement officials or private parties to enforce and comply with the law. We may disclose any information about you to government or law enforcement officials or private parties as we, in our sole discretion, believe necessary or appropriate to respond to claims, legal process (including subpoenas), to protect the property and rights of www.loveforporsche.com or a third party, the safety of the public or any person, to prevent or stop any illegal, unethical, or legally actionable activity, or to comply with the law. www.loveforporsche.com remains at your disposal if you have any questions regarding privacy issues or the use of your personally identifiable information by www.loveforporsche.com. We ask to forward all privacy related questions via our contact-page. In no event shall www.loveforporsche.com be liable to you or any other party for indirect damages or losses (in contract or tort) in connection with the operation of the www.loveforporsche.com web site, the supply of services or the subject matter of the Terms of Service, including but not limited to damages for lost profits, lost savings, or incidental, consequential, or special damages, even if caused by www.loveforporsche.com’s negligence and even if www.loveforporsche.com has knowledge of the possibility of such potential loss or damage. You shall indemnify and hold harmless www.loveforporsche.com from and against any and all loss, damage or liability, including reasonable legal fees, resulting from a breach of the Terms of Service by you, and any and all claims an liabilities, including reasonable legal fees, made by any third party resulting from your breach of the Terms of Service or from your use of the www.loveforporsche.com web site or service. If any provision of the Terms of Service is found invalid or unenforceable, then such provision shall not invalidate or in any way affect the enforceability of the remainder of the Terms of Service. Any notice provided in connection with the Terms of Service shall be in writing and shall be deemed effective if sent to the email address of the respective party provided herein. The Terms of Service is made and shall be construed according to the laws of Belgium applicable therein. For all services and products provided by www.loveforporsche.com, an invoice will be issued which you can view under your account. A copy is also sent to the email address supplied as your account login name. www.loveforporsche.com does not take responsibility for any undelivered emails. Any product or service purchased through www.loveforporsche.com will be shipped within 30 days after the payment has been received by www.loveforporsche.com. All shipping and handling charges are non-refundable; any refunds must be authorized by www.loveforporsche.com within 14 days of the invoice date. Within 14 days www.loveforporsche.com will replace, subsitute or repair, at their sole discretion, any service or product that is deemed defective. Products and services provided/sold by www.loveforporsche.com partners are subject to the return policy of the partner. Products and services which are software or downloadable from www.loveforporsche.com are non-refundable. 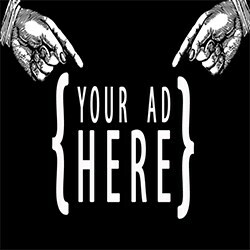 Advertising campaigns, are non-refundable.